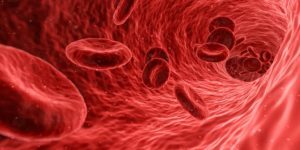 While Western medicine may be the current line of defense in fighting leukopenia, it is very feasible that alternative medicine may offer more without harmful side effects. The two forms of medicine can be used in conjunction, allowing the patient to have more options and more control over their treatment regimen. Portland area clients can contact our office to make an acupuncture appointment or to learn more about traditional Chinese medicine. This entry was posted in acupuncture on March 13, 2018 by Meridian Acupuncture.